This is the Robby's Original Automatic Positioner in a model featuring a remarkable fabric that's like a personal air conditioner! Draws moisture away from the hand. Hi. We suggest ordering the same size as you would wear in a regular glove or wrist support. 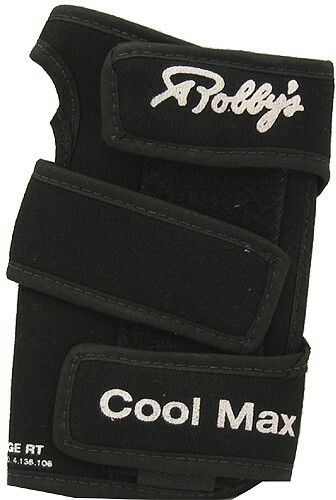 Due to the time it takes to produce the Robbys Cool Max Black Right Hand ball it will ship in immediately. We cannot ship this ball outside the United States.